Global endoscope reprocessing devices equipment market is expected to grow at significant rate owing to increase in demand for noninvasive surgery techniques globally. In addition, rise in use of endoscopy and risk of infections due to the contamination of endoscopic devices is expected to bolster the market growth over the forecast period. Strengthening of regulations and rise in awareness in sterilization of the medical devices for safe use and prevalence of chronic and contaminated diseases are expected to fuel the global endoscope reprocessing market. Moreover, rise in healthcare spending by public and governments led to the development of healthcare infrastructure in developing and underdeveloped countries. This is expected to positively affect the growth of global endoscope reprocessing devices market. However, prices of the devices and stringent regulations expected to hamper the market growth over the forecast period. Geographically Endoscope Reprocessing Devices market is divided into five key regions, i.e. North America, Europe, Asia Pacific, Latin America, and The Middle East and Africa. North America expected to have notable market growth owing to the factors such as well-established healthcare infrastructure, rise in demand for the noninvasive surgeries and prevalence of the chronic diseases. Asia Pacific is expected to have lucrative market growth opportunity owing to developing healthcare infrastructure, rise in awareness related to safe use of the endoscopic devices. Furthermore, rise in communicable diseases and risk of contamination of endoscope on multi-patient use are projecting the significant growth rate over the forecast period. 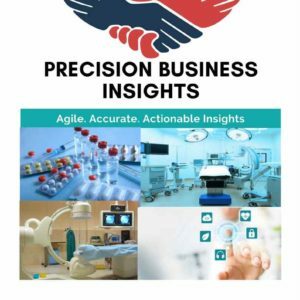 Europe endoscope reprocessing devices market is expected to have significant growth over the coming years owing to global players collaborations with the local and regional market players, rise in prevalence of the diseases and public & government spending on healthcare. Prevalence of the diseases, development of healthcare infrastructure and lower pricing in the devices enables propel the growth of the Middle East and Africa endoscopic reprocessing market over the forecast period. In November 2015, CANTEL MEDICAL CORP. has launched automated endoscope reprocessors into the Europe and Asia Pacific Market.